Pharma stocks are far from a sure thing, but with the following insight from our industry experts, you’ll be better positioned to foresee at least some of the market’s peaks and plummets. Jeff Margolis, VP of RespireRx (OTCQB:RSPI), knows that election years bring about market volatility. “That expectation was certainly met,” he said, remembering the pharmaceutical industry’s up and down performance in 2016. But some investors may not have anticipated just how mercurial this market would be. If all those highs and lows felt like a roller coaster ride you never wish to ride again, read on. Life science stocks are far from a sure thing … but with the following insight from our industry experts, you’ll be better positioned to foresee at least some of the market’s peaks and plummets. And that, in turn, can help you enjoy the ride. After all, there’s a reason why people love roller coasters: they provide a rush like none other. Pills that track patient compliance or inhalers that monitor when each dose is taken: these are the kind of products that go “beyond the drug.” It’s those technological extras that Choudhury said give a product its “competitive edge”—and they’re why you might see some unlikely partnerships in the years ahead. “There are more and more deals taking place with not so traditional players, such as Google, telecoms companies or mobile device manufacturers,” Choudhury noted. These high tech companies are helping drug-makers move past the pill and develop more comprehensive products that can assist with diagnostics, monitoring or compliance—to name just a few potential applications. You might be tired of this price gouging conversation—but lawmakers aren’t. 2016 saw drug prices in the spotlight, and that chatter should continue into the new year. The election of Donald Trump in November 2016 provided a respite for the embattled pharmaceutical industry. By and large, this market seemed fearful of a Clinton victory and her proposed plans to reign in high drug prices. But the Republican win doesn’t mean the industry is out of hot water yet. “Trump’s plans to blow open the pharma industry’s firewalls against stiffer competition and more uniform pricing schemes could devastate profit margins,” George Budwell reminded investors on Fox Business. And that means pharmaceutical companies may need to revisit their business models. There’s uncertainty outside of the United States too. On the other side of pond, Brexit’s shadow looms long over 2017. With many regulatory questions still up in the air, some suggest the industry could stall. “With a weakened pound, confusion around the future of EU funding and movement of labor regulations, one might expect to see pharmaceutical companies delaying M&A activity, investment, expansion plans and R&D projects until the implications of Brexit are clearer,” Dr. Linda Summerton, CEO of Immodulon, told Life Science Investing News. But the pause isn’t a chance for these companies to slow down and catch their breath. Instead, it could result in stagnation. But don’t worry—it’s not all doom and gloom. Summerton also noted that Brexit provides a unique opportunity to the British pharmaceutical industry. She believes the sector needs to find new ways to bring drugs to market—and the referendum vote can forward that aim. Feeling apprehensive? After 2016’s volatility, we don’t blame you. Still, our experts remain hopeful about the potential of this sector moving forward, and its ability to adapt to coming challenges. “In pharma, as always, there are great returns for innovators,” Bruckler told us. She’s got an eye out for developments in oncology, immunology and rare diseases. That’s the truth. Need further proof? Just take a look at some of this year’s top-performing pharma stocks. In a troubled year, they still managed to make major gains. 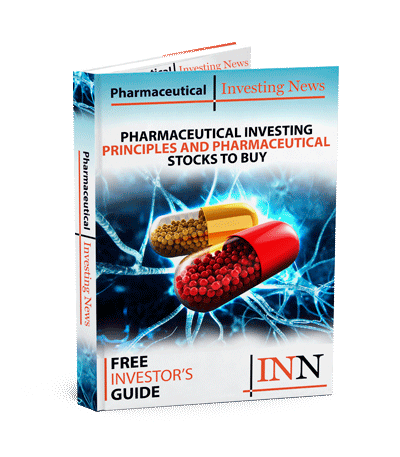 Editorial Disclosure: RespireRx is a client of the Investing News Network. This article is not paid-for content. We all need a strong pharmaceutical industry, though many people are concerned with the rising costs of drugs. While the industry deals with increased scrutiny, they will also be looking for new ways to reach customers effectively, and to adjust to advanced technologies. And with the constant evolvement of medicine and technology, trends are constantly changing in the pharmaceutical industry. If these aspects are not addressed it will interfere with launching new products across multiple markets. There has been a lot of public backlash regarding the costs of old, and new medicines in the US. Drug prices are rising faster than the budgets to pay for them. Premium-priced treatments for cancer, viral infections and high cholesterol create friction between concerns of access and medicine costs. The promise of highly targeted therapies looks flawed as products roll out in combination, into big populations, or in successive indications with a strong cumulative impact on drug bills. People have demanded more transparency within the pharmaceutical sector, as they would like to gain access to data from clinical trials including the financial relationships with physicians. With the hype surrounding high drug prices, companies need to communicate more effectively with the public, media and politicians. People need to know exactly what each company does, how it functions, and how its services and products can benefit patients. By explaining why drugs are so expensive, patients can at least feel informed, and potentially reassured by the investments they are making. It is also important for the industry to ensure that transparency is replicated in emerging markets. The relationship between doctors, patients, and other stakeholders is changing heavily due to the powerful advances in digital technology. Examples of this include ‘smart pills’ and connected devices used for diagnosing and monitoring vital health indicators. Physical and virtual interaction within the digital space is igniting a “fully networked health architecture or ecosystem with a range of reciprocal benefits.” Big brands like Apple (NASDAQ:AAPL), Google (NASDAQ:GOOAV) and IBM (NYSE:IBM) are showing interest in the pharmaceutical sector because of the need for data-driven patient engagement, self-responsibility, and real-world results. The pharmaceutical industry processes huge volumes of data, and has been an affiliate of big data for some time now. Data is crucial towards brand positioning, product development, value demonstration, safety, effectiveness monitoring, communications and many other functions. Pharmaceutical companies are now thinking about what they can accomplish with the vast amount of generated data, which exists across the whole spectrum of health suppliers, providers, consumers and systems. Disciplines like predictive and prescriptive analytics are monitoring data, looking at past interpretations and analysis, and anticipating trends that will promote efficiency, targeting, cost-effectiveness and real-time validation. These things are important for research, development, sales, marketing and medicine distribution in the highly competitive and demanding pharmaceutical marketplace. There are a number of emerging pharmaceutical markets arising from specialty medicines in cancer, multiple sclerosis, high cholesterol and hepatitis B. This is a pharma trend that we will see rising this year. In fact, specialty medicines for rare, chronic or genetic diseases are expected to make up 28 percent of global expenditure (on all medicines) by 2020. The boom of specialty drugs will influence the industry’s focus, shifting it from primary to both secondary and tertiary care. In addition, this change will create more discomforting debates about drug prices, costs and availability. Specialty drugs are complicated, and the benefit of these products, and their cost relation, needs to be manifested through an ongoing dialogue. While there are risks, the rewards that come with specialty drugs could be great. Specialty drugs will contribute to an environment which is more carefully thought-out and wider-ranging, and where flexible market-access strategies are capitalized. Securities Disclosure: I, Tara Chloe Dusanj, hold no direct investment interest in any company mentioned in this article.